Detail from ‘Be Nice’ by Ellen Wineberg which is oil and oil stick on canvas. The gallery season is gaining momentum as we move towards the holidays and there seems to be a new exhibit popping up every other day. 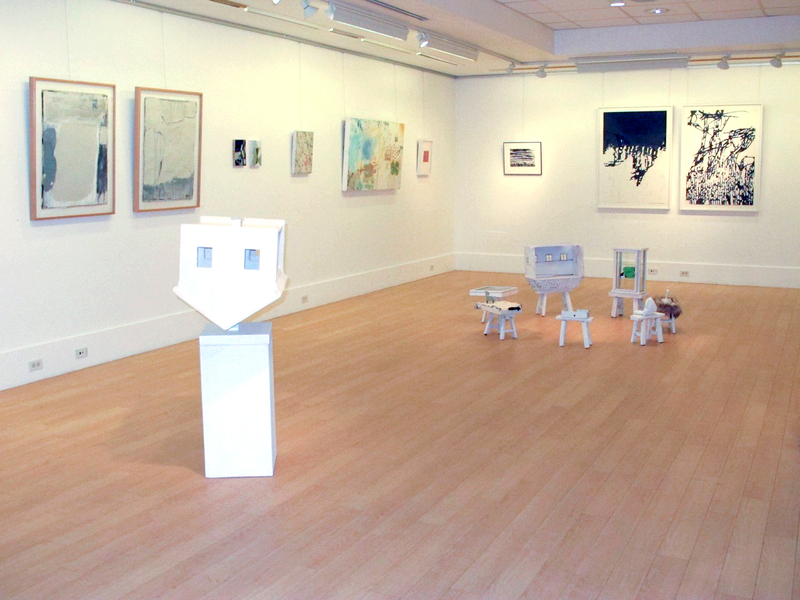 One hidden gem of a gallery on the South Shore of Massachusetts is the Gallery at Thayer Academy in Braintree, MA. Gallery Director, Karen Koskores, is passionate about bringing a wide spectrum of sophisticated exhibits by local artists while allowing faculty and students from Thayer Academy showcase their work. 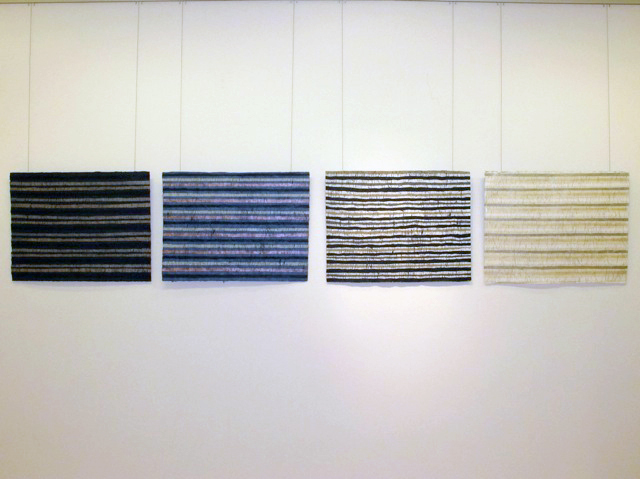 Take Five is an enchanting and diverse show presented by five women artists from Massachusetts that originally had their first group exhibit 25 years ago and continue to connect along their artistic journeys. Take Five Exhibit at Thayer Gallery. As you enter the gallery you’ll immediately be struck by the contemporary and feminine vibe of this show that you’d expect to see in lower Manhattan or the South End in Boston. Artists Cathleen Daly, Carol McMahon, Lesley Cohen, Ellen Wineberg and Lois Tarlow have thoughtfully pulled together their most recent work for a diverse yet cohesive display of art pieces that includes painting, printmaking, drawing, sculpture, collage and installations. ‘cheap spectacle’ & ‘silent partner’ by Cathleen Daley. 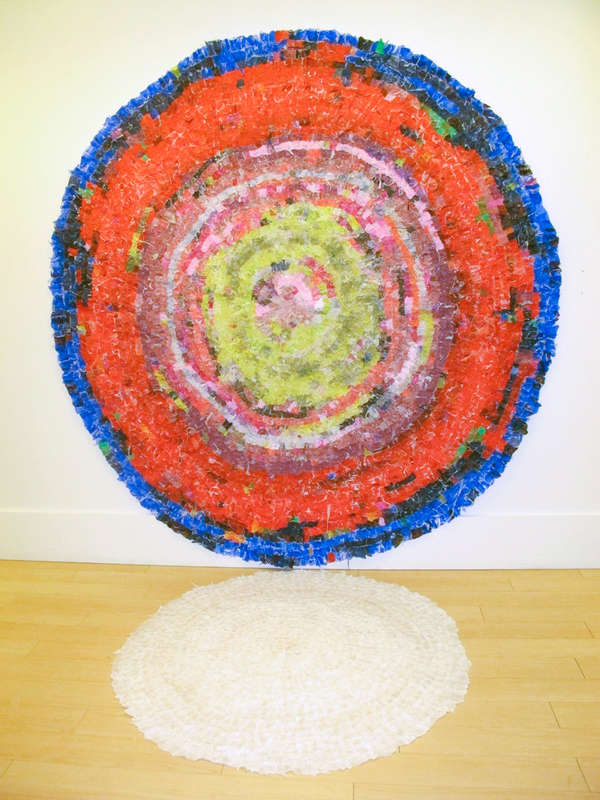 These two large and impressive pieces on the wall and floor were created by Cathleen Daley with plastic grocery bags, glue and acrylics. They are reminiscent of Cathleen’s family ancestors who worked hard with their hands and this is her modern day interpretation of their creations. Two impressive pieces by Lesley Cohen. 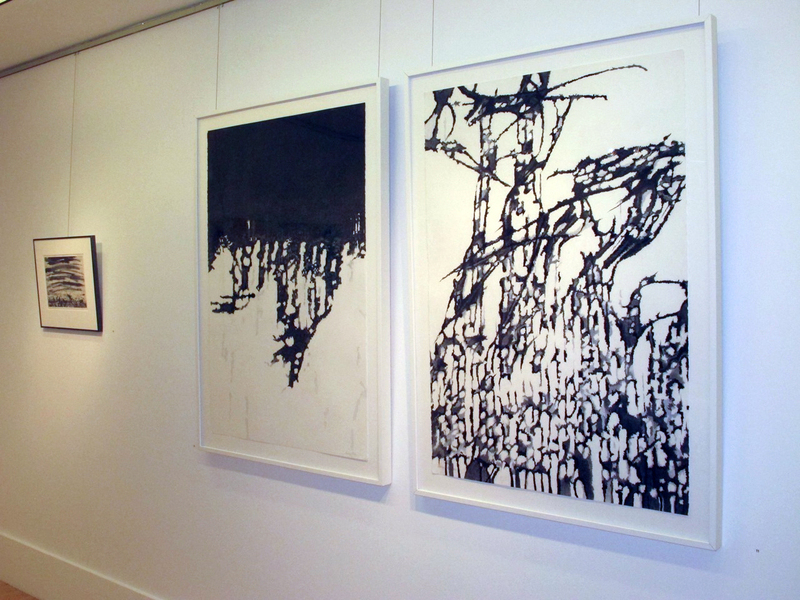 These large black & white charcoal and chalk pastels by Lesley Cohen are expressions of her calligraphic language that reveal her interest in urban, fence-like structures and geometric formations. ‘Home Front’ by Carol McMahon. 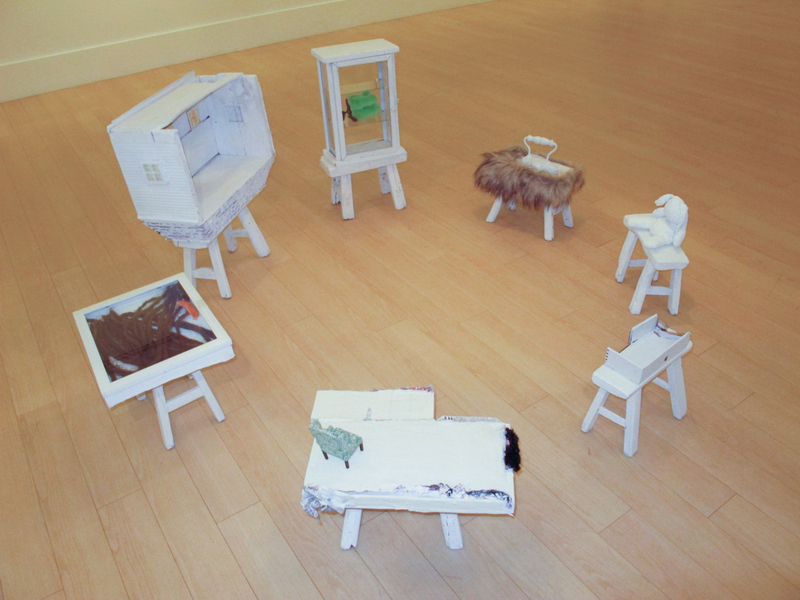 Throughout the exhibit are various assemblages painted in white with added re-purposed elements created by Carol McMahon. These miniature installations are dreamlike, childhood stories that are cleverly executed and arranged to bring whimsy and a sense of humor to the exhibit. 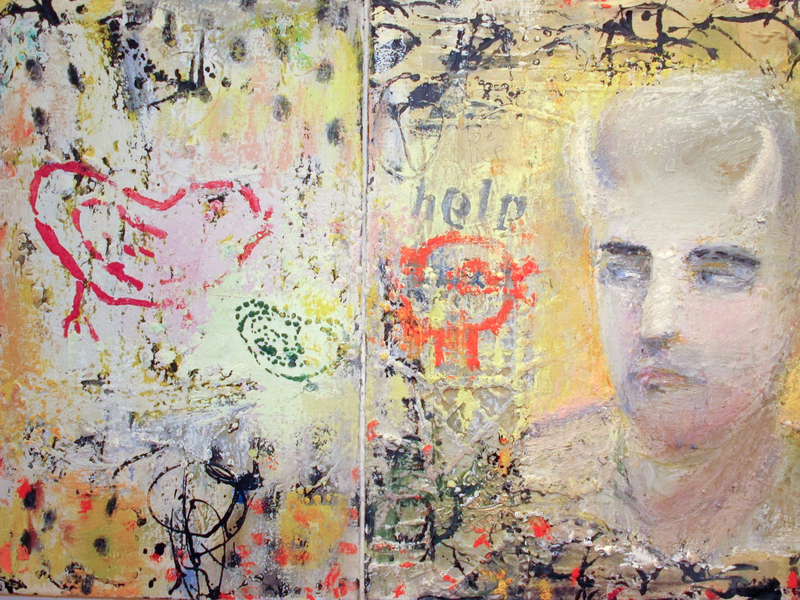 Two mixed media pieces by Ellen Wineberg. Multi-layered, tactile pieces skillfully created by Ellen Wineburg are dense with content yet express themselves with simplicity and airiness that give the impression of the artist’s joy of paint, color and texture. Her pieces are an amalgamation of her personal treasures and found objects that fuse together to reveal stories to the viewer. ‘A Day at the Marsh’ by Lois Tarlow. Lois Tarlow is the ringleader for this group of artists who credit her for being the glue to the cohesiveness of their relationships and explorations in artistic adventures. Tarlow’s pieces are geometric and yet organic. Her love of language and the written word are the inspiration behind her many art pieces in the exhibit. Thayer Gallery Take Five Exhibit. 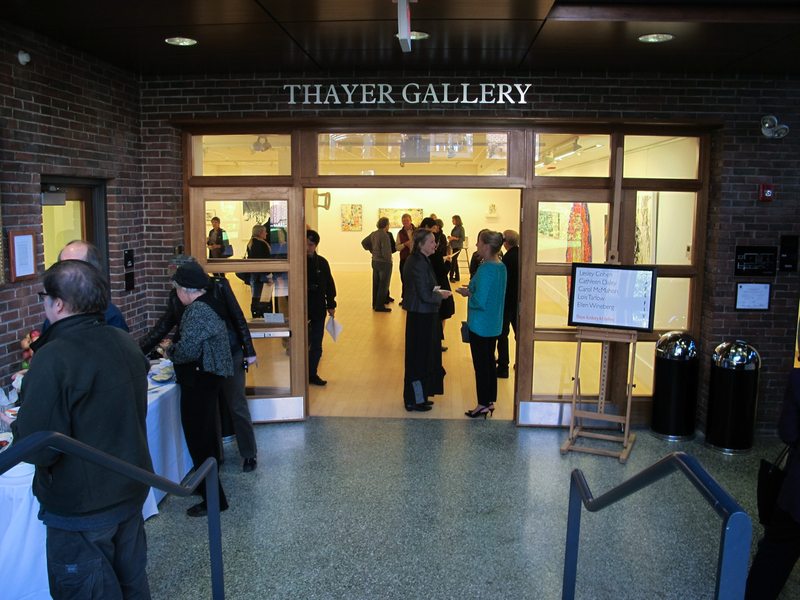 Visit the Take Five exhibit at Thayer Gallery which is on display thru November 15, 2013. If your looking for a place for lunch nearby try Sake in South Braintree Square-it’s one of my favorite neighborhood spots. 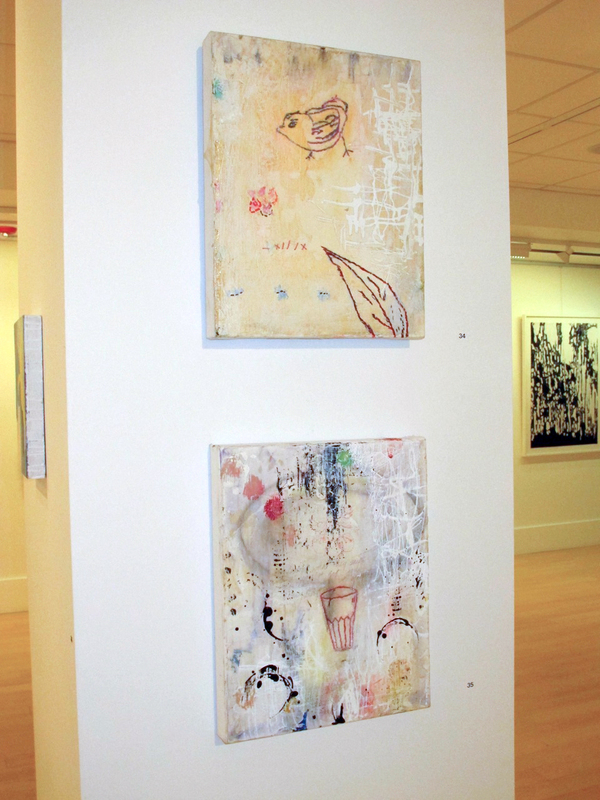 The Gallery is located on the beautiful Thayer Academy campus at 745 Washington Street, Braintree, MA. Hours for the gallery are 8 am – 3 pm during the school year. You are currently reading Take Five @ Thayer Academy Gallery at donna ingemanson studio.